Sold by World of Data Ltd and Fulfilled by Amazon. Gift-wrap available. 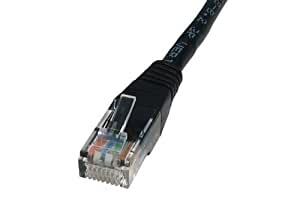 Category 6 cable, commonly referred to as Cat 6, is a cable standard for Gigabit Ethernet and other network physical layers that is backward compatible with the Category 5/5e and Category 3 cable standards.. 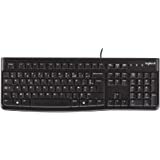 Compared with Cat 5 and Cat 5e, Cat 6 features more stringent specifications for crosstalk and system noise. 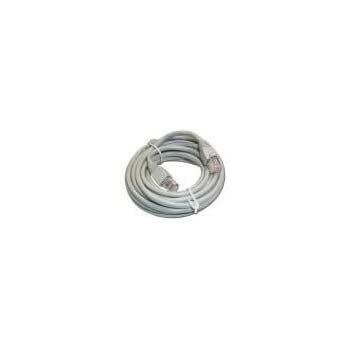 The cable standard provides performance of up to 250 MHz and is suitable for 10BASE-T, 100BASE-TX (Fast Ethernet), 1000BASE-T/1000BASE-TX (Gigabit Ethernet) and 10GBASE-T (10-Gigabit Ethernet). 1.0 out of 5 starsCOPPER CLAD ALUMINIUM.....Not 100% Copper at all. 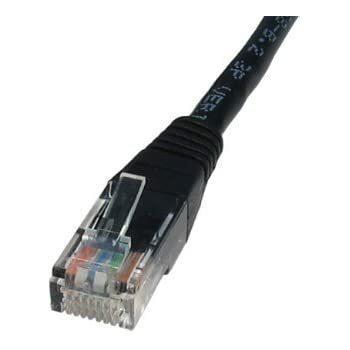 My older cable says: U/UTP Cat6 Stranded 24AWG 4P LSOH Patch ISO/IEC 11801 and ANSI/TIA-568-C.2 Networking Cable. This new cable says: U/UTP Network 6 Stranded Patch Cable 24AWG x 4P LSOH. 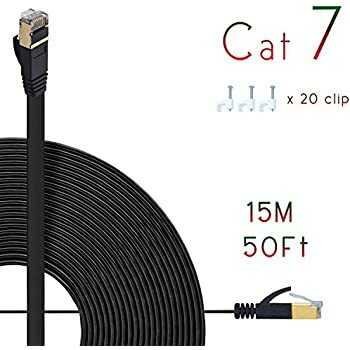 It didn't even have the wording of CAT6 on it......which every CAT6 cable I have ever bought from any brand has said on it before, so I thought "is this a fake CAT6 cable" and decided to try the well known flame test on the cable. Search youtube if you have not heard or seen it before. And guess what......the instant the flame from a match was put up against this "100% copper" the strands DISINTEGRATED....just like on the youtube video. While I was doing this flame test I decided to try a piece from the Original 40m cable I bought.....and guess what....that Disintegrated too. World of Data Cables in my case are both COPPER CLAD ALUMINIUM....or CCA for short. So I then tried another brand of CAT6 cable (I won't mention the brand as that's irrelevant) to check that......and thankfully this other brands cable is made of real copper as the strands did not bend or disintegrate at all...the match I used actually had to be put out or I'd burn my fingers, that cable was genuine copper. 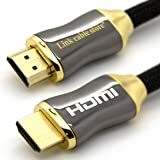 I will NEVER buy a cable from World of Data again and will be requesting a refund of this cable that arrived today, and will see what they or Amazon say about refunding me money from the 40m run of cable I bought 2 years ago too, seeing as that is NOT what was being advertised. Also, I will now have to goto a lot of effort in removing all the runs of World of Data cable I have used and replace it with genuine/better quality cables because copper clad aluminium cable is NOT rated/suitable for anything that is getting its power supply from POE (Power over Ethernet), which in my set up there is. 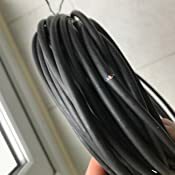 4.0 out of 5 starsGreat cable - make sure to uncoil! I was worried that I had been duped, when I noticed that I was only getting 100mbit speeds out of this cable. I ran tests against other cables and found that they were getting 1gig connection speeds when this was only getting 100mbit. After reading other reviews stating that this product reached 1gig speeds, and reading online, I straightened out the cable (the last section was in a tightly wrapped coil ) and restarted my laptop. I am now reaching 1gig speeds again with the cable. 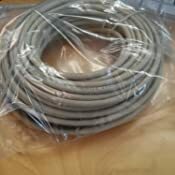 "...The cable must not be kinked or bent too tightly (the bend radius should be at least four times the outer diameter of the cable)." To summarise, great cable at good value for money, just make sure to install it well. 5.0 out of 5 starsComputer too far from router? With this lead, that's no longer a problem! After fifteen years, suddenly I've the Internet in my bedroom, again. I'm with TalkTalk and for over a decade, when dial-up was replaced with broadband, they have been unable to provide me with an Internet signal in my bedroom because this room is too far from the router that's in my lounge. I've tried everything: powerline adapters; access points; I've even attempted to get BT to provide me with a new master socket. I say tried because BT pretended to do the work (and billed me, via TalkTalk) but actually did nothing. I never paid them, by the way! 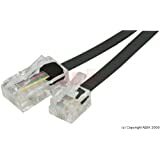 Eventually, three years ago, a chum suggested me running an Ethernet cable from the router to the computer in my bedroom but then (three years ago) this length of cabling was not available but now it is and suddenly I've got what I used to have in the days of dial-up. An Internet signal and access to this, once more. A brilliant product and well recommended. 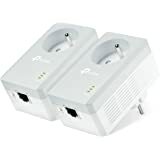 I bought another to connect my TalkTalk TV settop box with catch up TV to my bedroom TV. Luxury! After years (since dial-up was replaced with broadband) I can access the Internet once more. First off, How can anyone say that this cable is Rubbish is beyond me. To cut a very long story as short as poss I brought a new AC router ( I use Fibre and can get well over 100 Mbps) and use a S4 which will be a S5 as soon I can get one . 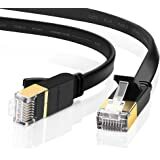 I first used the Cat 5e cable that came with the router (NetGear R6300v2 from Amazon) using Genie it give me 50+ Mbps, then I used a Cat 6 cable I had which give me 100% and 150Mbps. But I had forgotten at this tie that I already had a Cat 6 cable and ordered this one at 5 Mtrs. Now long come ( next day at 7.30 am) and when I connected this beauty my reading on Genie went though the roof ie 100% and 433Mbps. Now I know my router is set at 450Mbps on 5Ghz N and at 1300 on AC BUT I WILL take 433 Mbps thank you very much. GREAT CABLE and one of the best £5 that I have spent at Amazon, and believe me I spend enough. Cable seems to be of decent quality. Its a stranded cable not solid core, but does appear to be copper strands. The cables are split and twisted in pairs around a central plastic X as you'd expect and sheathed with a fairly thick outer plastic. Gave me 55-60 MegaBytes a second file transfer through a gigabit router from a linux samba share which is over 10x's faster than my current home plugs! 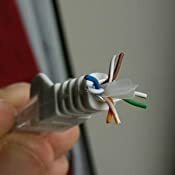 Would of preferred cat6a but they'd be too thick for my needs with the extra sheilding. Does the job quite well. I've given it a fair bit of abuse and it seems to be holding up. It still gets tangled and knotted though. I use this cable on a temporary basis and I hang it across a corridor and through a door which is often accidentally closed on the cable. It's holding up so far, but I probably could have done with an even more durable and anti-tangle cable, if that even exists. Would be nice to find an ethernet cable that was more easily rolled back up again. But at this price point I have nothing to really complain about, I would recommend this cable above any of the cheaper cables around. No point in getting a cheaper cable as it will break too quickly.